During the hard times of the Chennai flood in 2015, many suffered due to damage and destruction of their infrastructure. Prema Vasam and Elkanah were two homes among various affected charitable institutions where relief works were carried out by Bhumi. The testing times at such shelter homes were overcome unitedly by the sharing and caring of volunteers and donors. Prema Vasam, a home to almost 148 girls and 45 boys, suffered a huge loss to their property. To make sure that the kids were adequately given with the comfort that they needed during this period, Bhumi distributed many amenities that helped the children. For a safe and healthy atmosphere for growing children, various home appliances were provided that included fans, tube lights, emergency lamps and a fridge. Few flasks were also donated, which proved essential to serve children in cold weather. Special aid like wheelchair was also provided to ease the individual need in this home. Elkanah children’s orphanage takes cares of 20 boys. 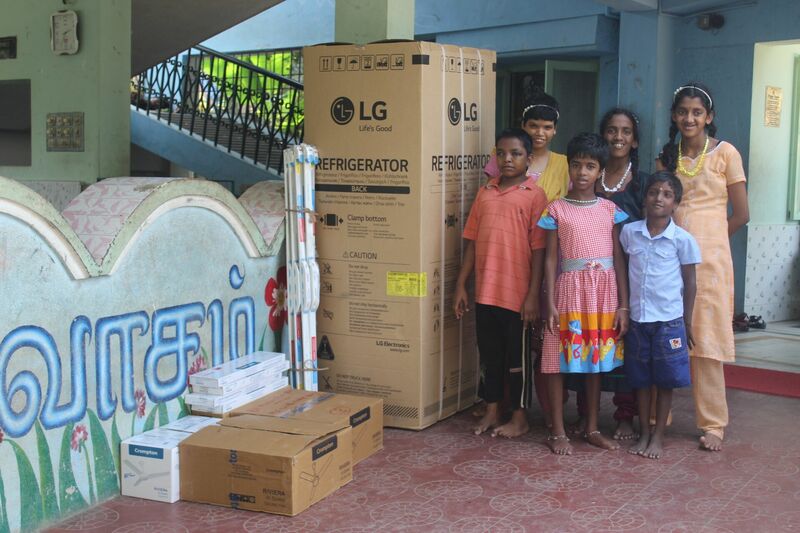 Here, kitchen appliances like grinder, fridge, fridge stands and mixer were given. Mats, Pillows, Fans and Emergency lamps were also supplied to make sure that these children receive the best comfort possible; Proper rest and bright surrounding are much essential for growing minds. Due to the havoc wreaked by the floods, plumbing works were also done. Love Foundation in Minjur where 40 children reside. Ponnamalle Blind School is the residence of around 300 children with vision disparities. During calamities, it is a greater challenge for these children to manage daily life. Kitchen appliances like stove, mixer and grinders were distributed to help them make sure that the children are provided with proper meals. Container box was also for safe storage purposes. Stove was given at Polichalur AD School. 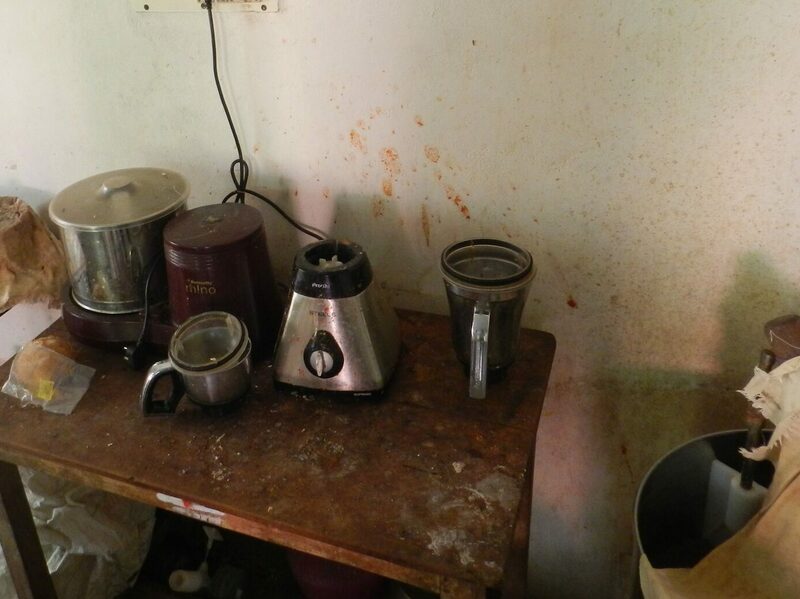 A mixer and a grinder were supplied to Little Angel Children’s Home. And in Mariella Children’s Home, RO system was installed. 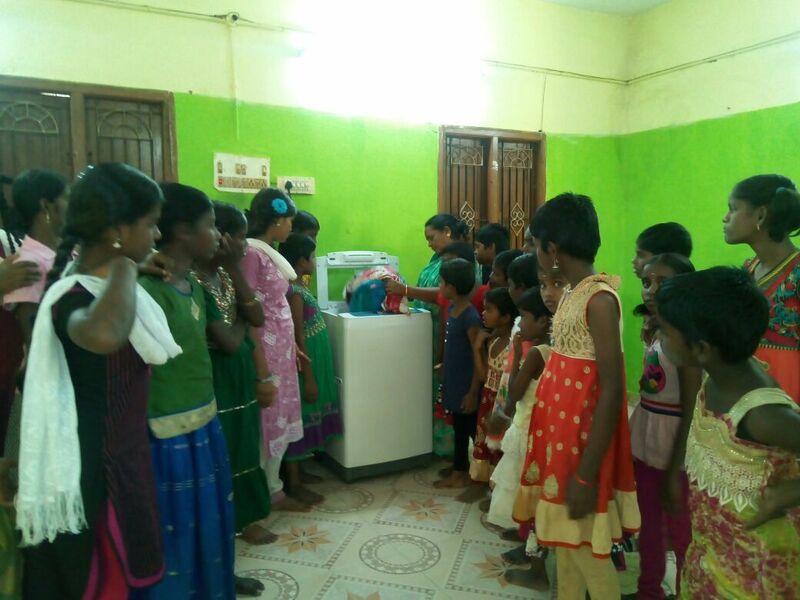 At Udhavum Ullangal, a home for 52 girl children, a washing machine was provided. Bala Mandir Kamraj Illam in T-Nagar, where more than 200 children reside. Bhumi would like to express profuse thanks to each and every individual who joined hands to battle a sizeable calamity and revive hope in the lives of underserved. We were able to aid these charitable institutions only by the support of every contributor.